"I had never realized how bad my posture is," she writes. "It has always been that way. … [I]t's not only that my shoulders + back are round, but that my head is thrust forward." The journals are largely comprised of lists, ways to improve herself, books she should read, chronologies. They give evidence of a fierce and unrelenting campaign to work on herself as an intellectual, as a woman, as a mother. "In the journal," she writes, "I do not just express myself more openly than I could do to any person; I create myself." She was 24 years old. susan sontag's reborn: journals and notebooks is definitely going on the list for next year. she was so beautiful and amazing. 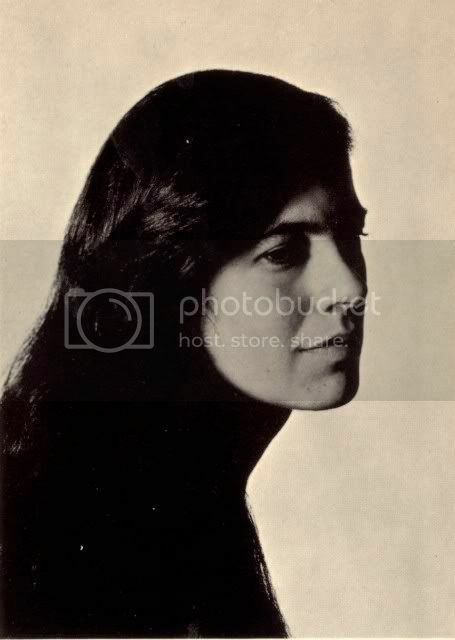 weird, i just watched an old charlie rose with sontag. two boy friends ago at lincoln center i saw annie leibovitz and susan sontag standing in a corner whispering to each other. it was sweet.